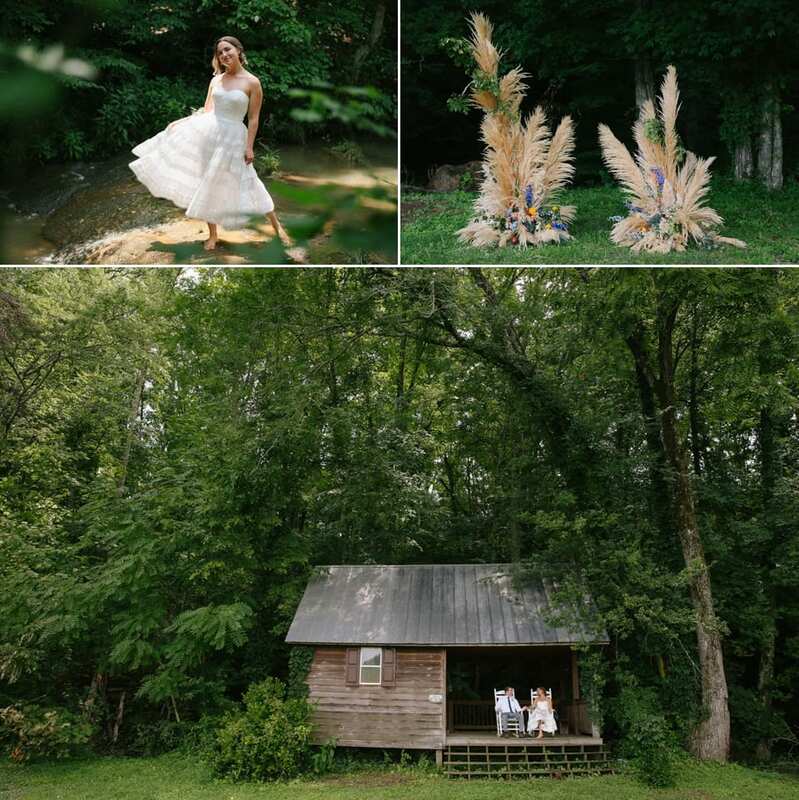 I absolutely loved working with this group of wedding pros on a bohemian styled wedding shoot created by Team Wedding at Honey Creek Farms. I photographed Polly & Jay, the owners’ wedding a few years ago and have been in love with this family and venue since. 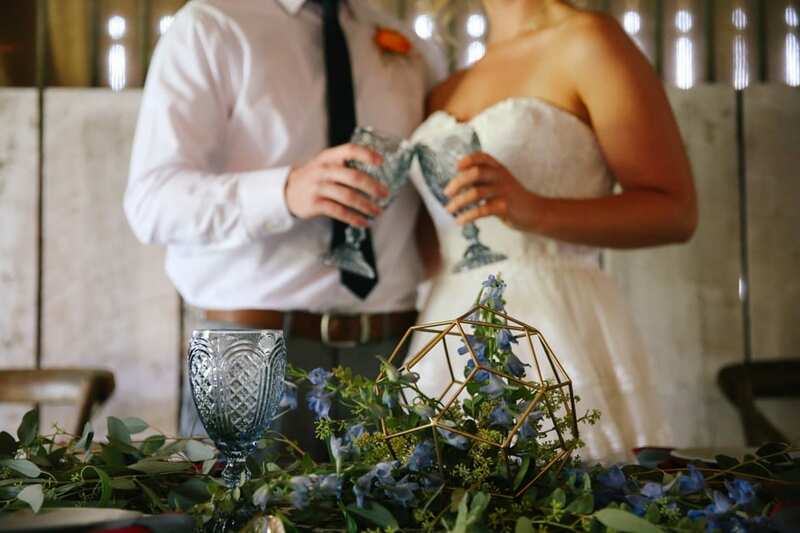 In their own words, “Honey Creek Farms is a family owned and operated farm and special events venue nestled on 25 acres of picturesque rolling hills that include a rustic cabin surrounded by a lovely creek, numerous outdoor ceremony sites, a remodeled elegant barn, a sophisticated bridal suite, charming groom’s room, a luxurious screened porch, a stately farmhouse, and much more!” You can see how special this venue is below. I’ve included a few favorite images from our beautiful summer shoot. Some of my favorite details are Ginger’s short wedding dress from The Gilded Gown, unique alternative bouquet with glass vessels, floral arm band and pampas grass ceremony space Melissa Timm Designs created, colorful goblets and eclectic bohemian table decor from Team Wedding and All Occasions Party Rentals and nature inspired cookies from Sassy Pants Sweets and Treats. With models Ginger and Hayden, hair by Christi Piontkowski, makeup by Glam Studio and lighting by Bright Event Productions.